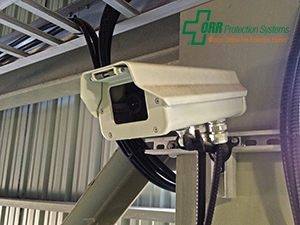 Recently, ORR Protection Systems has fielded an increased number of questions regarding Video Smoke Detection and Video Flame Detection through our "Ask an Expert" portal. Since the interest seems to be increasing we thought it would be helpful to post the most frequently asked questions about this type of detection. 1. How Will Different Light Sources Affect a VISD System? Imagine a VISD System is monitoring an indoor space and a wall with an outdoor window is in the field of view. It’s a sunny day and the window is bright. Consider the possibility a cloud passing by window darkens for a moment. As the cloud moves away the window gets bright again. The camera will notice a change in the brightness of the pixels that come from the window, but it will not recognize the brighter pixels of flame because it does not have the right flicker rate. For video fire detection it takes both changes in brightness of pixels plus a flicker of the pixels that match that of flames. Bright pixels alone will not be identified as flames. 2. Can a VISD System Operate in Low Light Applications? A VISD camera will not detect smoke when there is no light in the room. In order to detect smoke there must be some light. Manufacturers list a minimum level of one foot candle throughout the space. However, the lights don’t need to be on to detect flame; flame provides its own light. If the lights must be turned off when the space is unoccupied or the space is normally very dark, beam detection may be a good alternative. 3. Can a VISD System See Fire Not In It's Line of Sight? Some cameras can detect a fire when it can't actually see the flames or it's not a smoky fire. Imagine a large industrial space in the image of the camera. In the middle of the image there is a large piece of equipment. A fast flaming fire starts behind the equipment where the camera’s view to the flame is blocked. As the fire grows the camera image sees the glow of the fire on the wall, but not the flames. Some cameras can recognize the glow of the fire on the walls and identify the fire. This technique is called reflected fire light detection. Reflected fire light allows detection even when the flames are blocked from the camera’s view. It is a powerful detection technique, but it’s important to understand that this technology is not available in every VISD camera system on the market. 4. Will VISD Systems Self Restore After They Go Into Alarm? When a camera system is installed in accordance with its UL listing and is tied into the Fire Alarm Control Panel, the alarm signals they send to the FACP are latching. Someone will need to go to the FACP and reset the system when safe to do so. A latching alarm signal is different than a trouble signal or supervisory signal that self-restores to normal once the condition goes away. Any initiating signal from a detector, including a video image smoke detector, must send latching signals and will required the FACP to be manually reset. A big exception is when a VISD system is not installed as the primary detection for a space. Many times VISD is installed as secondary fire detection to provide situational intelligence. When done this way another technology is used for the primary detection of a fire and is the only way to automatically initiate a fire alarm. The camera system will notify the supervisory personnel at the security office (or other monitored position) if there is a problem. The supervisory personnel then have the option to initiate a manual fire alarm via a manual pull station. Most often this arrangement occurs in industrial and manufacturing settings where regular fires are expected and an on-site fire brigade is prepared to respond. 5. Are There Air Flow Limits For the VISD Protected Space? For these systems to be successful there has to be visible characteristics of a fire. It will be a challenge for VISD systems to detect smoke in high air flow. Moving air influences the movement of the smoke significantly and big HVAC systems will prove to be a problem for VISD. In areas of high airflow smoke may never develop into a recognizable pattern. 6. How Does the Video Playback Work on Video Smoke Detection Systems? The playback on most of these systems works like security camera software. A timeline is built into the user interface of the program that essentially allows owners to go back in time to the very first indications of smoke or fire and replay the incident. The system allows the system owner to capture video segments and save them for later review. 7. What are the Advantages of Using a VISD System? The most obvious advantage is volume detection within a large coverage area. It’s also a very fast detection method. Engineering studies have shown VISD to have similar response times as air sampling smoke detection, which we know to be probably the fastest detection means for a smoke fire. Coupling its fast detection ability with situational awareness produces the opportunity to have a very effective early response to the thermal condition. Continuous video recording allows for post event analysis to understand what caused the fire and what changes need to make to avoid another. Video playback can also be used to evaluate the effectiveness of the fire response. 8. Are video smoke detection cameras subject to false alarms? Yes, but there are ways to avoid false indication of a fire. Cameras can see steam and heated oil mists as smoke. Welding in the image will be identified as flame. As in any detection system it is important to understand possible false scenarios that will be encountered. 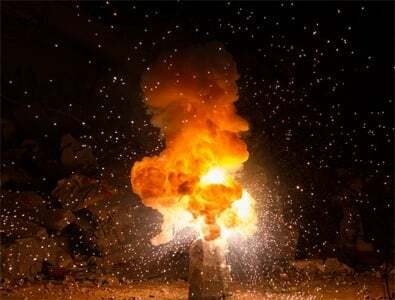 If there are known false sources in the image of the camera there are digital image blocking techniques that can be used to avoid false-positive indications of smoke or fire while still maintaining full detection capabilities in the rest of the image. The digital blocks are usually programmed into the system during commissioning. 9. How was Video Smoke Detection Technology Developed? Video Image Smoke Detection technology originated from the security industry and other video analytic techniques. Early digital video systems captured images for motion detection in the images. Engineers soon realized that the same images could be used to recognize the pattern of smoke and fire. Refinements included additions for UL listed and FM Approved cameras that could be used to activate fire alarm systems. You can also ask one of our mission critical fire protection experts any question you'd like any time you'd like. Just click here to contact us. Even more questions? No problem. ORR will also come to you. We will help train you & your staff on any of your fire systems. Click here and schedule your FREE Lunch and Learn. An ORR expert will come to you and train you or you and your team on your choice of fire protection topics including video smoke detection. Lunch is on us!